One of my favourite Canadian talents, no matter the genre, will be gracing the NAC stage on Nov. 22nd. 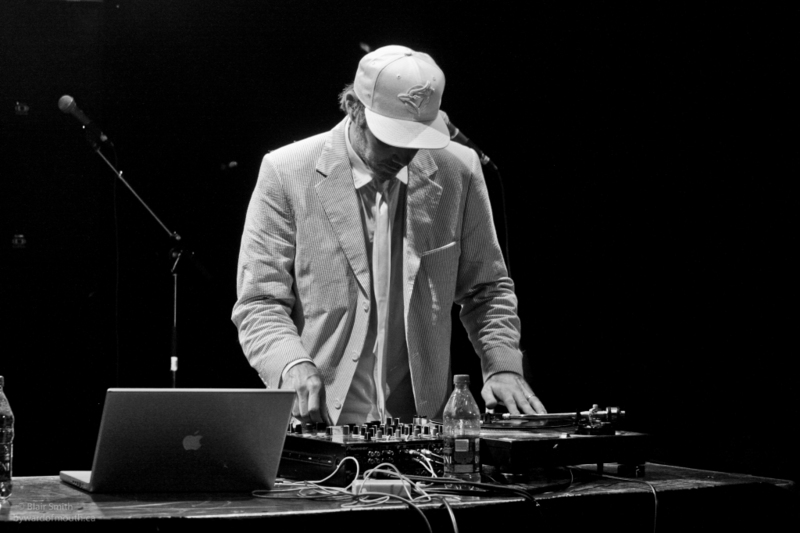 Yes the legendary Buck 65 will be in Ottawa in late November, tickets here. I thought it would be fun to resurrect an old article of mine about the time he competed with John Fogerty, a cold and swarms of bugs to deliver a most excellent performance. So here it is. An ailing Buck 65 took to the Hard Rock stage in a grey suit, July 12th, 2011 at Bluesfest, ready to deliver. Accompanied by the lovely Marnie Herald, he opened with “Sweet Baby.” Herald blended her beautiful voice and energy several more times on other tracks, as you can see in the video below. This was the beginning of one of the highlights of the set, playing “Wicked and Weird” over “Run through the Jungle” by CCR. It was epic, and the crowd lost their mind when he began to scratch on the track as well. Following up with “Dang,” and saying after, “Don’t worry, I talked to Fogerty earlier and he’ll be doing a Buck 65 song.” Afterwards he played “All There is to Say About Love”, a Bike for Three song, which is a cross continental collaboration with Belgium producer Joëlle Phuong Minh Lê. “The doctor said I could not go to Ottawa, but to quote Ray Charles, ‘I don’t need no doctor.’ I got rained out last time and come hell or high water I was playing,” he said. “This is Bluesfest for crying out loud!” And everyone in attendance was extremely grateful he toughed it out. He scattered two great new songs throughout the set. One of them he wrote with fellow East-Coaster Jenn Grant, leaving this writer looking very much forward to the new album. Another one of the wonders of a Buck 65 show are his excellent scratching skills and his “amazing” dance moves, where he appears to be dancing like the inflatable Skydancers (better known as wacky waving inflatable arm flaling tube men).